Start your 3D printing business today! 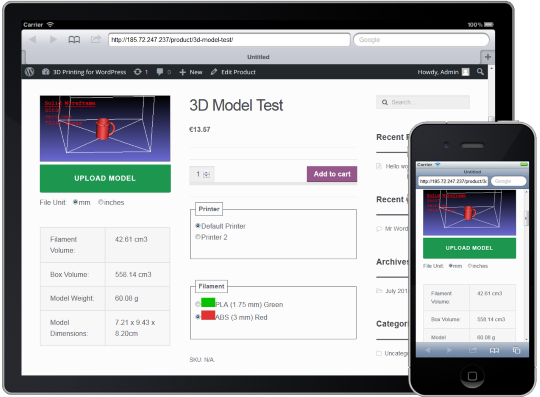 Turn your WordPress/WooCommerce website into a platform for selling 3D printing services with this powerful plugin. It's an ideal solution for a small to medium business. Start selling your 3D printing service today! Try Demo Buy Now Christmas sale, 50% off!